My first day in Hawaii was a dream. 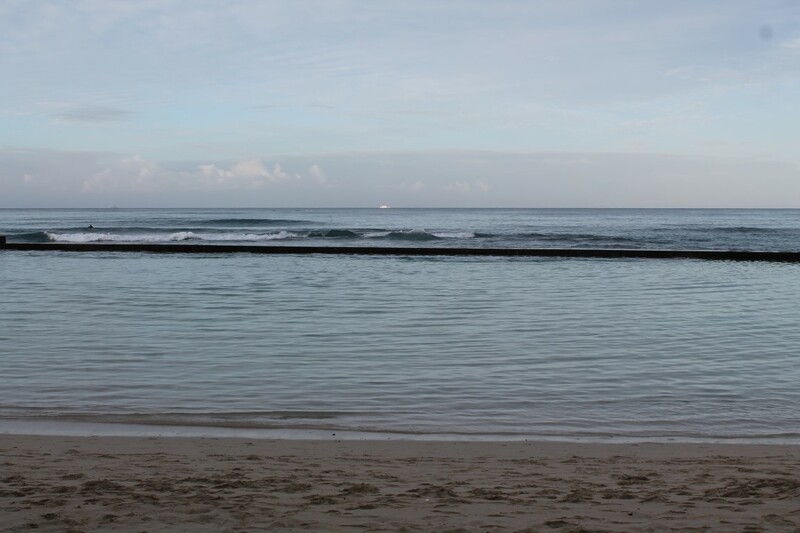 Waking up with the sun and walking along Waikiki beach as the city awoke was beyond words. My first sunrise in Hawaii took my breath away. I kept repeating aloud I’m in Hawaii. I’ve finally made it to the one place I’ve always wanted to be. Already I feel at home, as if I was meant to have an island life…especially in Hawaii. As I walked along the coast toward the Halekulani hotel to get picked up for my hiking tour with Keawe Adventures, I watched the sleepy city come to life. 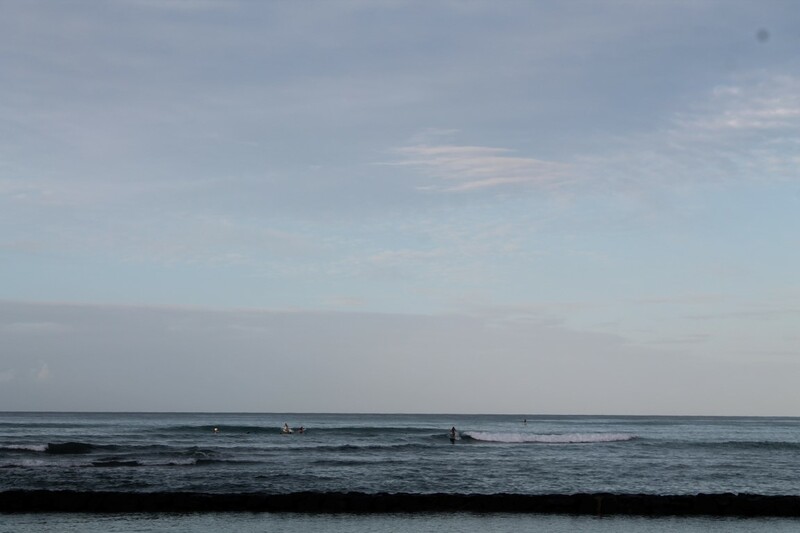 The early morning surfers owned the sea. The early rises enjoyed watching the sunrise from the beach, while the runners trudged along. Locals greeted me with “good morning” as they briskly walked past me. I slowly walked through Waikiki, stopping often along the way for photo ops, while taking in the incredible views. Is what my eyes see real? I couldn’t fully comprehend the fact that I was walking along one of Hawaii’s most well-known beaches. 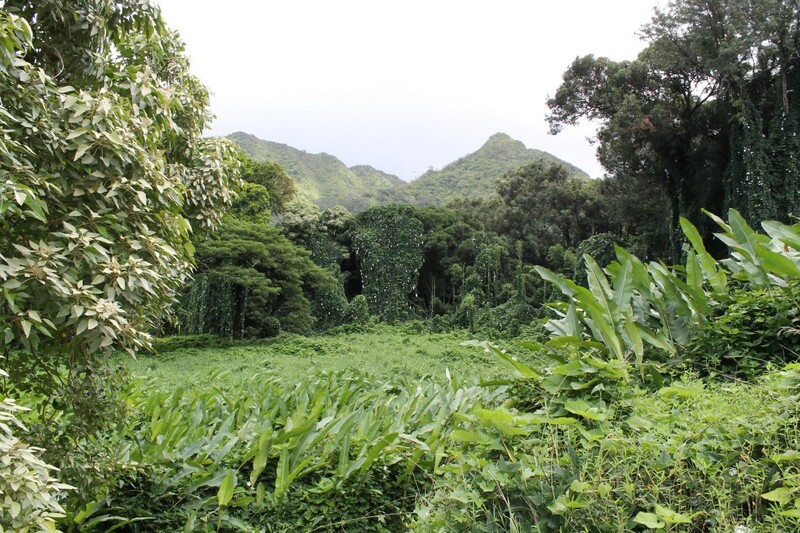 I couldn’t wait to get into the interior of Oahu to see the lush environment, while hiking with Keawe Adventures. 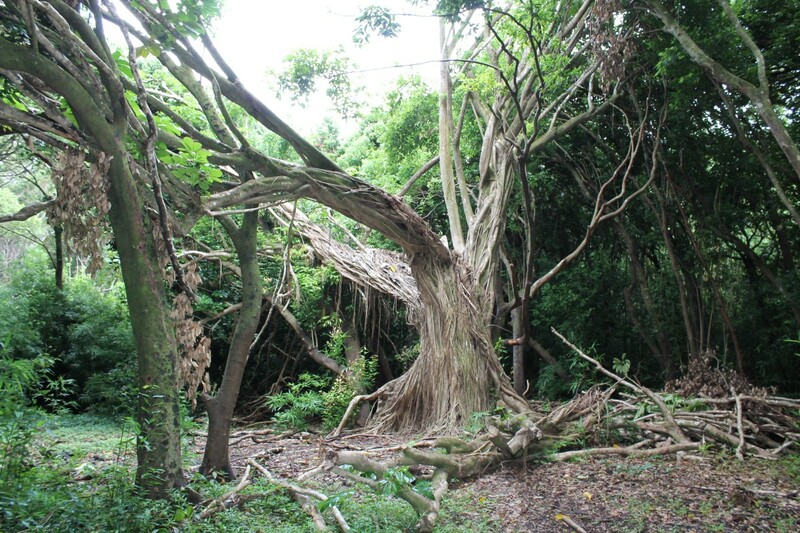 Keawe Adventures is a small local company based in Honolulu run by a native born Hawaiian. 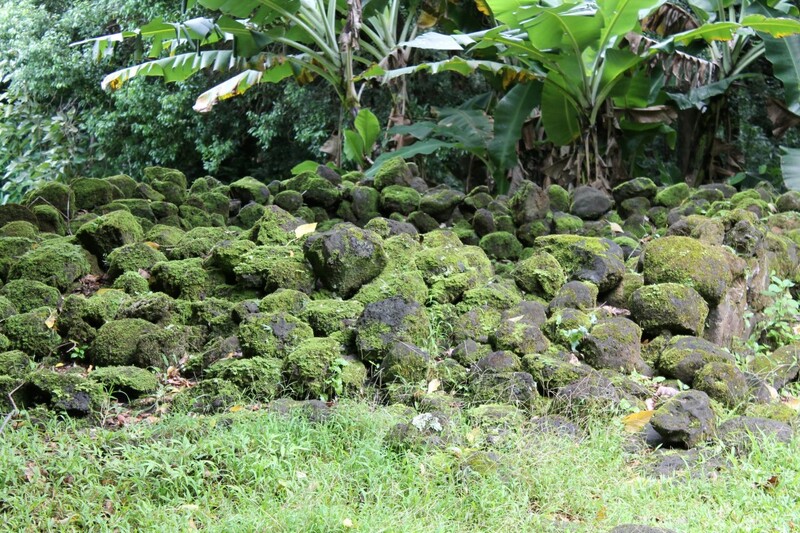 Keawe Adventures also does tours on any Hawaiian island if requested. Keawe is known for its custom tours and individualized experiences. When I contacted Keawea I asked to see a spot few tourists go. I didn’t expect Keawe to pull all the stops for me and to design a tour which would almost bring me to tears. It was as if the tour was designed specifically for me and only me. Without even knowing me, Makani (founder of Keawe Adventures) planned the perfect tour for my first day in Hawaii. It was the perfect experience to welcome me to Hawaii. I believe everything happens for a reason and I was meant to experience the tour Makani planned for me on the first day I awoke in paradise. Makani started Keawe Adventures in 2008 after realizing he wanted to do something in Hawaii which he would love doing everyday. Makani’s custom tours are designed to meet the needs and wants of visitors. With few employees, Keawea provides a personal touch, while keeping the company close to Hawaiian island traditions. Let Kewea Adventures know what you want to do and let them plan an experience for you far exceeding your wildest dreams. Makani who guides the majority of tours himself (such a personal touch) met me promptly at the Halekulani hotel at 8am, our planned meeting point. Another great thing about Keawea is that they like to keep the tours small. 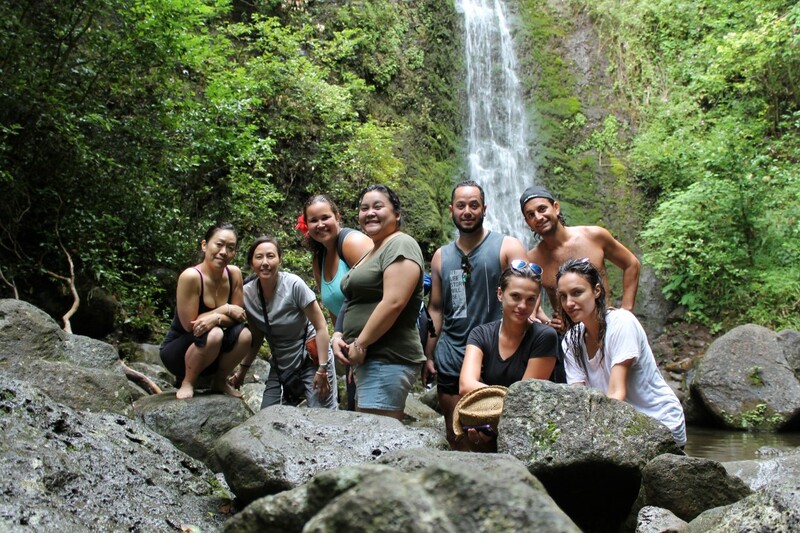 Three local girls (3 consigiers from the Halekulani hotel) and two newly wed couples from the U.S. joined me for the hike. 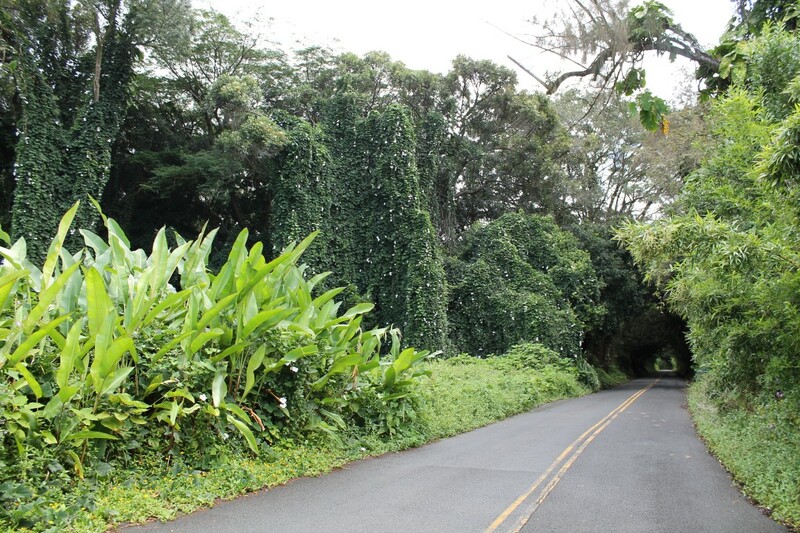 During the drive to the hike starting point on Old Pali road, Makani provided me with a wealth of knowledge about Hawaii, specifically Oahu. He took me past President Obama’s school and explained the President’s connection to Oahu. Makani who is Naval trained is both knowledgeable and articulate. Second to doing what he loves for a living, he has such passion for helping out the Hawaiian community and fighting for conservation in Hawaii. 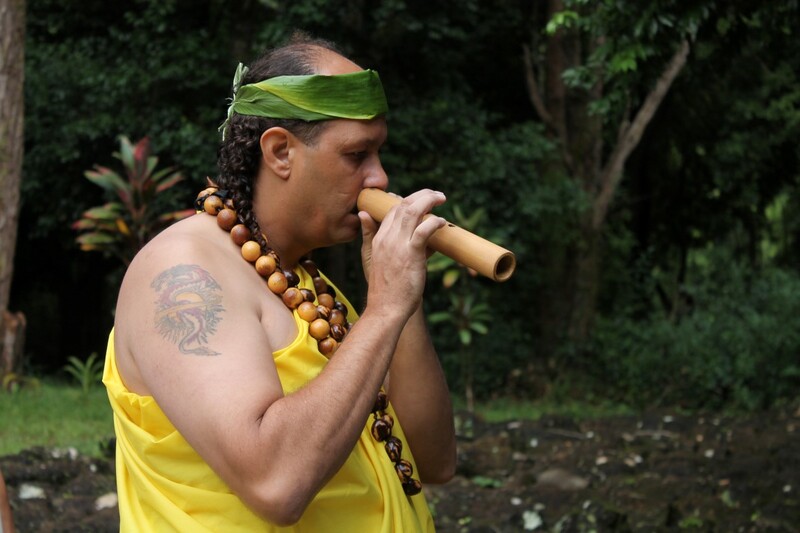 He is extremely respected within the Hawaiian community and sits on numerous environmental boards. He has a keen concern for aquatic life and often raises awareness about sustainable fishing. I couldn’t have had a more knowledgeable guide. It was a pleasure to take a tour in Hawaii with a local. 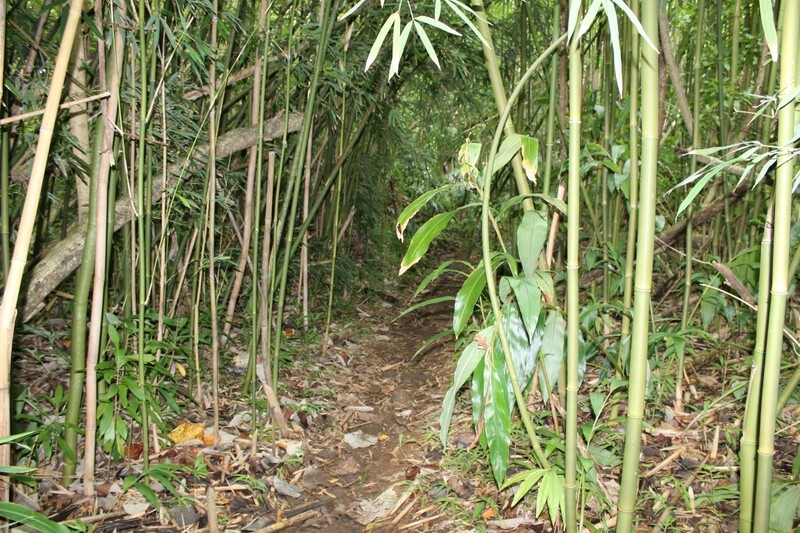 After a short walk through the most beautiful bamboo forest, we arrived at an ancient sacred Hawaiian site. 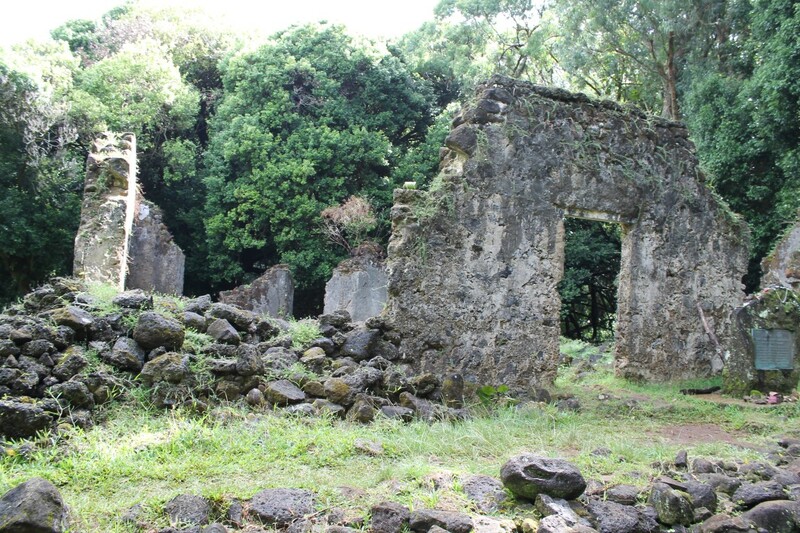 The remaining ruins from the Royal Hawaiian dynasty captured my gaze and almost memorized me. In this special place, Makani planned for us a traditional Hawaiian Ava ceremony which few locals have had the opportunity to experience. Of the three local girls who were with me, none had experienced it before themselves. I felt blessed to be a part of the ceremony. Makani had 5 locals meet us at the site in traditional Hawaiian dress to help perform the ceremony. We all sat in a circle on straw mats from youngest to eldest (age before beauty). The elder sat at the center of the circle to chant in ʻŌlelo Hawaiʻi (traditional Hawaiian language) a blessing over the Ava drink we were about to partake. He sang a song to invite the sun to shine down on us. Before we each took the earthy drink from the Ava root, we were to speak about our connection and or experience with Hawaii. After drinking the Ava we were given a piece of purple Hawaiian sweet potato to counteract the bitter taste of the drink. It was incredible listening to eveyone’s story. I’ve had a desire to visit Hawaii ever since I was a little girl. I never knew why I needed to make it to Hawaii, I just knew I had to. Some of the participants were brought to tears as they spoke of their love for Hawaii. The emotion was raw and the hair on my arms was standing on end. I have had few experiences like this one. We as a group felt connected. As we went around the circle the sun broke through the clouds, and through the drizzle, the sun shone down directly above us. It was beautiful. This was my welcome to Hawaii. After the ceremony we continued to the second part of our journey. 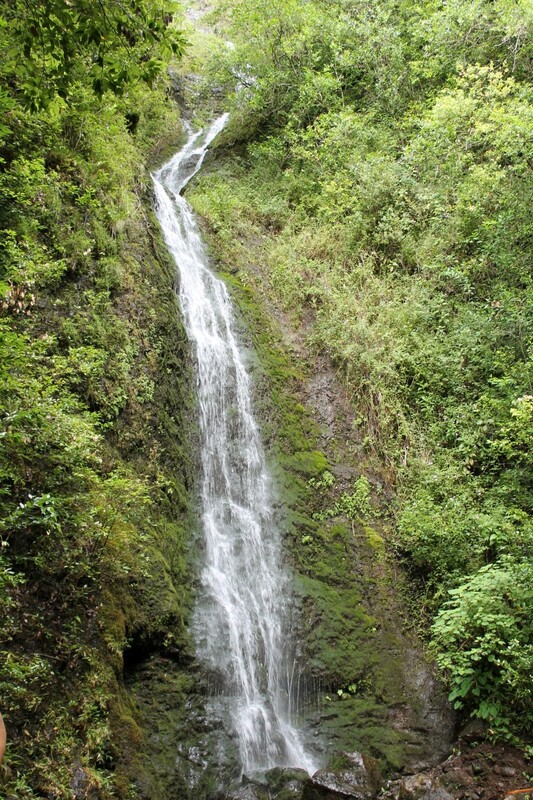 We hiked 1.5 miles through lush rugged terrain in the Nu’uana area to Lulumaha Waterfall; a waterfall few locals (especially tourists) have seen. I felt like the luckiest girl in the world to have an opportunity to experience “real Hawaii”. From over 200 feet below, I looked up to see the water slowly and steadily wind its way down the mountain. A once in a lifetime experience. I hiked the 1.5 miles out in silence completely amazed by all that I had seen. Makani did his job and planned the most amazing day for me. The best first day in Hawaii I think anyone could have had. 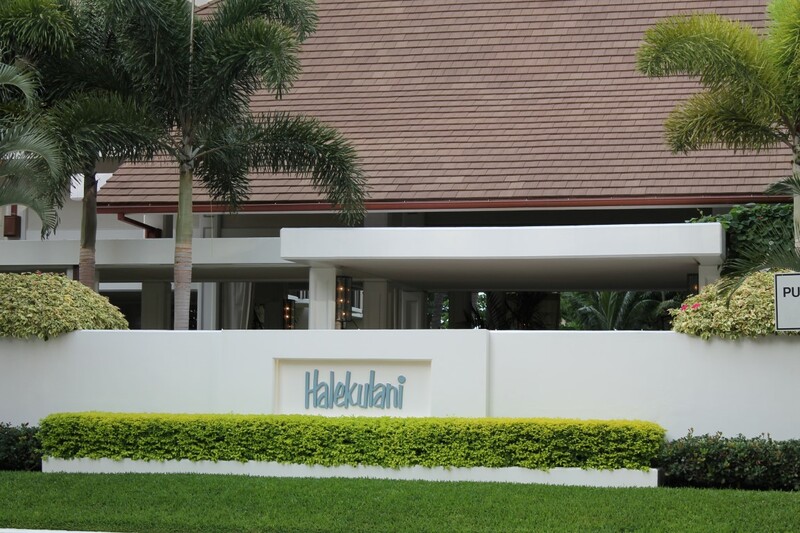 No matter what you want to do in Hawaii Makani can plan it for you. Let Kewea Adventures make all of your dreams come true when you visit one of the most beautiful places know our planet. It was beyond what I could have ever expected. I now know why Makani started Kewea Adventures: to share his passion and love for Hawaii by showing travels Hawaii through his eyes. 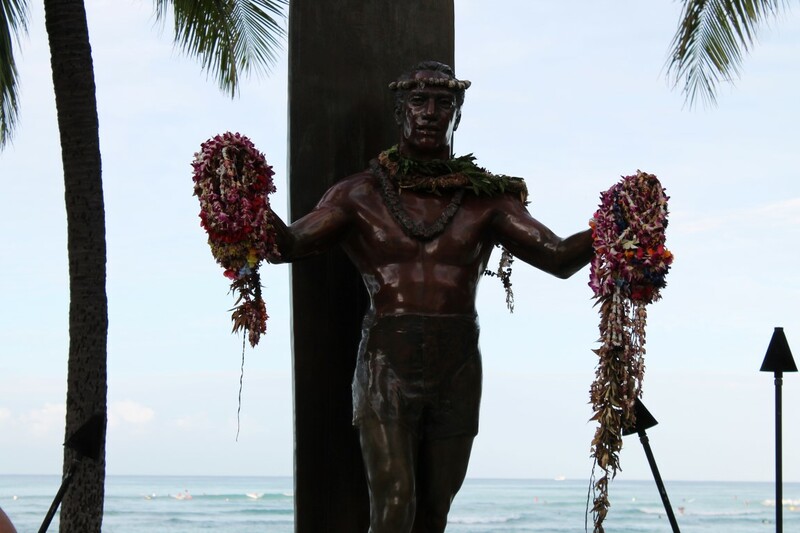 This entry was posted in Bucket List, Hawaii, Lifestyle, Reviews, travel, USA and tagged adventure, bucketlist, experiences, Hawaii, Hiking, keaweadventures, Oahu, Travel, Try, Turquoise Compass by Turquoise Compass. Bookmark the permalink. I would like to add to this…whomever you “believe” in..God or any other high other higher being..someone was saying to you…Here my child. This is all for you. AHH. What a blessing my dear! I know your trip is going to be even greater than you ever thought! The whole experience was planned for me. It was such a blessing Lisa, you have no idea. I hope I am expressing well through my blog posts what my experiences have been like. Girl, your posts are making me dream about visiting Hawaii!!! My husband has already been there when he was single, and he loved it. I’m starting to consider this trip seriously. And for sure I will contact Keawe Adventures, it seems like an amazing experience! I’m glad I am inspiring you to want to visit Hawaii. It is such an amazing place. You should start planning a trip. Keawe will give you the time of your life. Thanks so much Sandra! You are so kind. It was amazing!